New study explores how mobility is transforming fleets: A new white paper has been released for fleet professionals and other interested parties facing an historic change — transitioning from fleet managers to mobility managers. 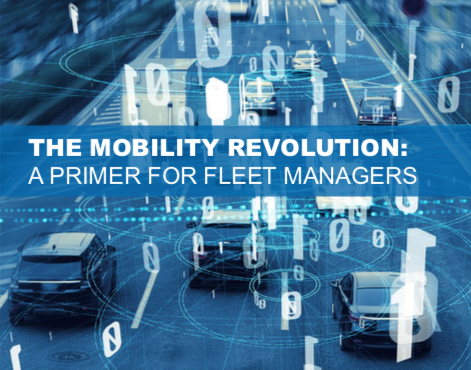 The Mobility Revolution: A Primer for Fleet Managers, explores four trends that are shaping the near-term future of vehicles and transportation — connected, electric, shared, and autonomous vehicles. Written by Lukas Neckermann, a former auto executive and consultant on mobility services, and Green Auto Market editor Jon LeSage, the study explores the issues poised to transform transportation in the next decade. It was sponsored by NAFA Foundation as a tool for fleet professionals to prepare for the near future. “As the fleet industry makes a rapid transformation into the ‘mobility’ industry, the NAFA Foundation, in cooperation with NAFA Fleet Management Association, is providing fleet professionals with the building blocks to transform their units, teams, and personal careers to a mobility orientation,” said Phillip E. Russo, CEO of the NAFA Foundation and NAFA Fleet Management Association. Fleet managers and operators of all types — corporate, government, emergency response, trucking, and urban delivery — are beginning a transition over to mobility managers. That means building in systems that allow them to observe fleet vehicles and make rapid decisions to increase efficiency — such as avoiding bottlenecks from traffic and vehicle collisions. The pressure is on for fleet managers and operators to reduce fuel consumption and carbon emissions, make their fleets safer, and to try out connected, automated systems for these goals and cost containment. The paper delves into ways that fleets are already testing and exploring these changing technologies and methods. Fleets are playing a key role in the testing and development of technology in trial test programs. Some of it is starting to be deployed, such as Voyage, a firm that is rolling out electric, autonomous shuttle vans in senior citizen communities in the U.S. Amazon and UPS are featured in case studies for their participation in advanced mobility projects. First responder fleets — fire, police, and emergency medical responders (EMR) — have been a platform for testing connected, automated systems including fleet vehicle tracking earlier than other fleet segments. In recent years, that’s played out in emergency services delivered after hurricanes Katrina, Sandy, and Mathew devastated local communities through flooding, highway and bridge destruction, collapsed buildings, and disrupted utility services including power transmission. Energy storage in electric vehicle battery packs can be used during power outages is one of several examples featured in the white paper. The study also explores how automakers, Silicon Valley giants, and partners such as autonomous technology and vehicle charging suppliers, are taking all four of the trends very seriously. Companies such as General Motors, Alphabet’s Waymo, Tesla, and Apple, are becoming the source of both cooperative test projects and competitive forces as each strives to be a leader in the emerging field. This point is being reinforced by Honda’s announcement this week that it will be investing $2.75 billion into GM’s Cruise autonomous vehicle unit; Renault-Nissan and Daimler possibly extending their alliance in autonomous vehicles, battery tech, and mobility services; and Toyota and Japanese tech giant SoftBank deciding to jointly fund a new mobility company that combines autonomous driving and mobility services. The free white paper is available for download. GAM editor MC’ing Friday at AltCar: The 13th annual AltCar Expo & Conference will be taking place Oct. 12-13 in Santa Monica, Calif. Jon LeSage, editor of Green Auto Market, will serve as Master of Ceremonies on Friday, Oct. 12. This year’s Industry & Fleet Conference on that day will focus on California’s trailblazing commitment to alternative technology transportation, infrastructure and energy. Terry Tamminem, CEO, Leonardo DiCaprio Foundation, will make opening remarks. 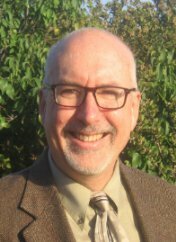 Phillip Kobernick, Interim Logistics Services Manager for the County of Alameda, will be in discussion with Terry O’Day, Executive Vice President, Innogy e-Mobility and Santa Monica City Council Member. “Is California Past the Turning Point?” Will be moderated by Marco Anderson, Southern California Association of Governments and will feature Clinton Bench of UCLA Transportation, Kobernick, and Ken Reichley of Southern California Edison “Are Auto Makers Truly Committed to Low- and No-Emissions Technology?” will be moderated by Sue Carpenter, KPCC “Take Two” and will feature Anthony Luzi of Electra Meccanica and Spencer Reeder of Audi of America. You can visit the AltCar Expo and Ride & Drive, which provides consumers with access to the most extensive array of battery electric, fuel-cell electric, plug-in hybrid, and hybrid electric vehicles available. Debuting at this year’s event is Electrica Meccanica’s new all-electric, single-passenger vehicle, SOLO. Musk stepping down as chairman: Tesla CEO Elon Musk had to back down from a threat to resign if a settlement was reached with the Securities and Exchange Commission. During a phone call with Tesla directors, board members insisted that the settlement be reached. Musk later gave his “grudging approval” through his attorneys to pay $20 million and step down as chairman but remain as CEO, according to The New York Times. The newspaper also reported the board proposed that James Murdoch become the new chairman. Murdoch is a Tesla board member and CEO of the Twenty-First Century Fox Inc. media company; but the board had not made a decision on filling that position yet. CNBC reported that Musk has 45 days to resign as chairman through the SEC settlement and the pay the $20 million fine over an agreement to settle a fraud lawsuit filed by the SEC on Thursday stemming from Musk’s Twitter posts announcing potential removal of Tesla, Inc., from the stock market. The electric carmaker has also agreed to appoint two new independent directors to its board and establish a new committee of independent directors and put in place additional controls and procedures to oversee Musk’s communications, according to the SEC. The Tesla CEO will continue to have his voice heard on the matter. Business Insider studied the SEC papers on Wednesday and found that Musk won’t be barred form voting his shares in favor or against nominees to Tesla’s board. Cycle 2 of VW diesel vehicle settlement: Electrify America released details of the second cycle for Volkswagen’s zero emission vehicle settlement with California and the EPA. Cycle 2 begins in July 2019, and will offer its next $200 million investment in California’s charging infrastructure over a 30-month period. DC fast charging stations will be the central focus in nine metro areas within the state: Riverside-San Bernardino; Santa Cruz-Watsonville; Santa Rosa; Fresno; Los Angeles-Long Beach-Anaheim; Sacramento-Roseville-Arden-Arcade; San Diego-Carlsbad; San Francisco-Oakland-Hayward; and San Jose-Sunnyvale-Santa Clara. The charging stations will be placed in retail locations, but Electrify America will also consider the needs of adjacent multi-unit dwellings where Level 2 residential charging deployment can be challenging. Electrify America also will invest in DC fast charging stations specifically targeting shared mobility drivers — car share, taxis, and transportation networking company (TNC) drivers.